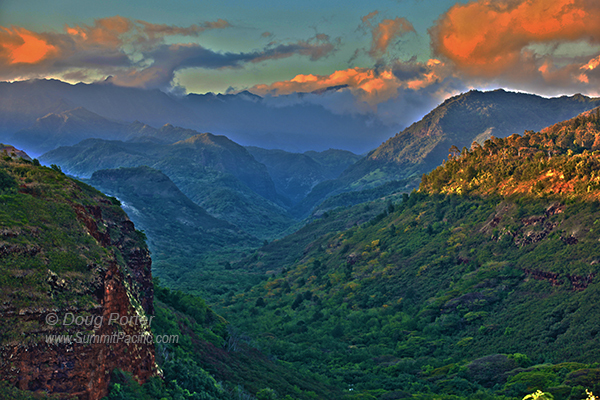 Waimea Canyon, Kauai - "Grand Canyon of the Pacific"
Waimea Canyon is about 10 miles long and 3600 feet deep. Mark Twain called it the "Grand Canyon of the Pacific" although it might be a little hard to see the resemblance in the above picture. This is what it looks like from a roadside pull-out along highway 50 near the town of Waimea on the southwest coast of Kauai. The more photographed, steep, red rock cliffs are higher up but it's still worth seeing from here.